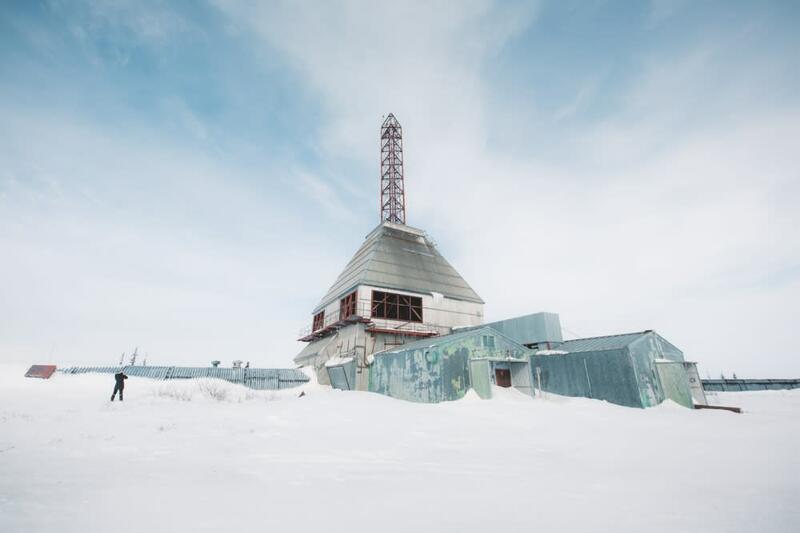 There are a number of reasons why one can&apos;t help but feel a sense of discovery and wonder at the Churchill Northern Studies Centre, starting with its location at the former site of a rocket range that operated suborbital launches into the upper atmosphere between the 1950s and 1970s. This desire to take a closer look at the natural world was carried on with the Centre, which was founded in 1976 as a non-profit, educational facility where researchers could delve into the wide range of topics that the north provides. Its ideal location at the meeting point of three major biomes; marine, northern Boreal forest and tundra, makes it particularly worthwhile for scientific endeavors. But you don&apos;t have to be a scientist to take part. 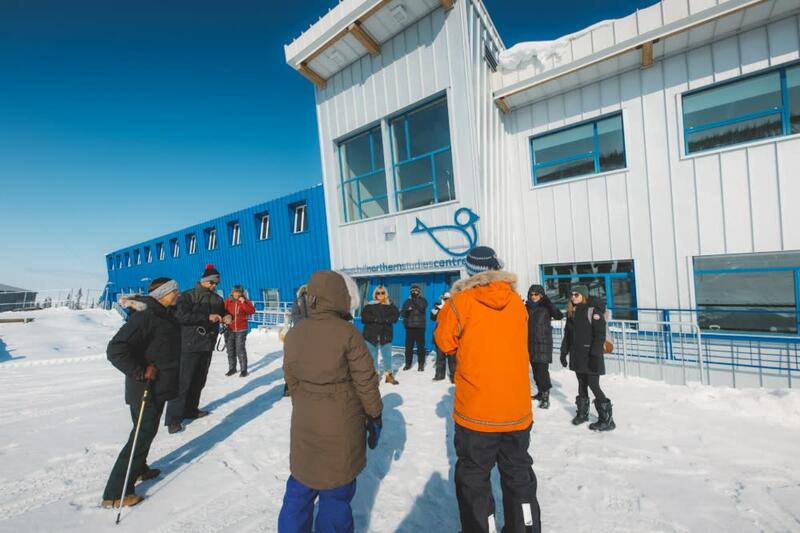 From birding and flora to studying the behaviors of polar bears and beluga whales, the Churchill Northern Studies Centre has lured travelers in from all over the world to partake in its exciting learning vacations. My first visit to the Centre focused one of the world&apos;s greatest natural wonders: the aurora borealis. Ron Waldron was our group&apos;s Starman for the week, and would bring us up to to speed on the wonders of the night sky, including constellations and of course, the northern lights. 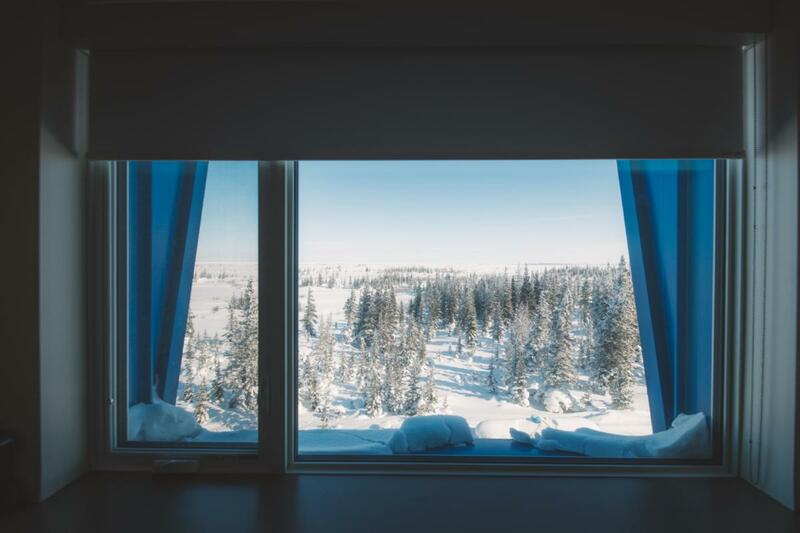 A stay at the Churchill Northern Studies Centre is unique for reasons beyond its scientific programming. The rooms are dormitories, containing four bunk beds, ideal for budget travelers and those looking to make friends. But there&apos;s no need to get flashbacks of hostels from your last European trip. The Centre is impeccably clean and comfortable, with staff and volunteers who go out of their way to make your stay as enjoyable as possible. The views from the rooms aren&apos;t so bad, either. 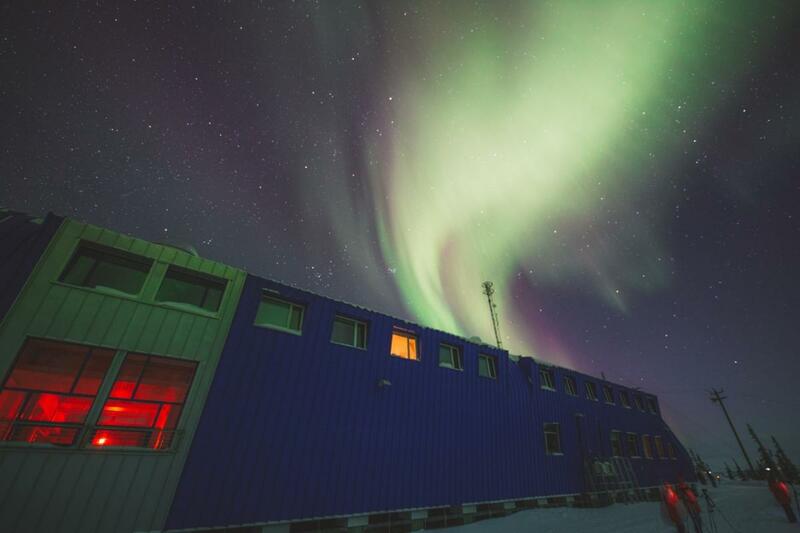 To add to the feeling that one is truly somewhere unique and unusual, it only takes a short wander through the Centre to catch a glimpse at scientists and researchers conducting their work in the laboratories. How cool is that? Since the purpose of my particular visit lay primarily in the night, days were spent learning about the Centre and current research projects, embarking on komatik (Inuit sled) rides, snowshoeing and checking out some experiments in the field with staff researchers (it turns out that snow is WAY more interesting than I could have ever imagined). To add to the affordability of staying at the Centre, each and every (healthy) meal is included in your stay at the Churchill Northern Studies Centre, homemade with care by the wonderful cooks and always concluding with some yummy dessert options (the oatmeal cookies were to die for). But back to the main attraction: the northern lights. We met each evening in the classroom for a lesson on aurora-friendly topics (like how to capture the show on camera), but not before navigating to the livecam on our phones to keep an eye on the sky outside. If even a glimmer of the aurora was spotted, class would close up shop and gear up to see the show. 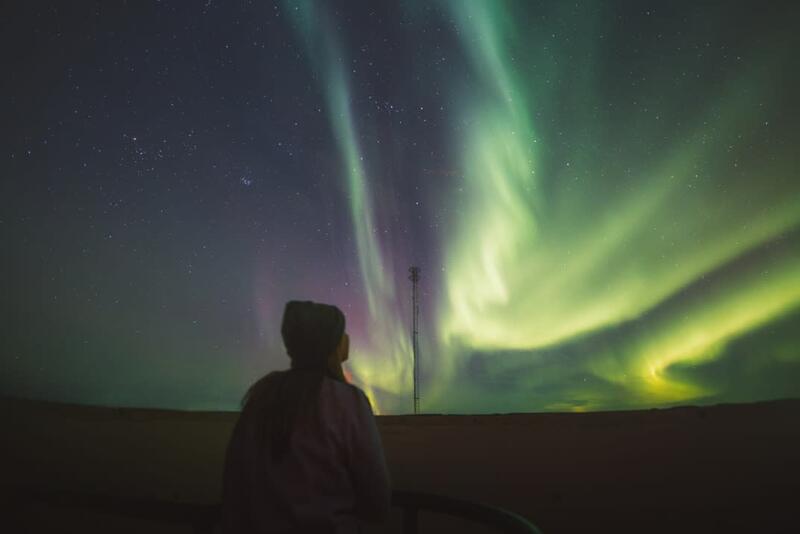 There are a number of ways to view the northern lights at the Churchill Northern Studies Centre, my personal favourite being from the heated dome at the top of the facility. 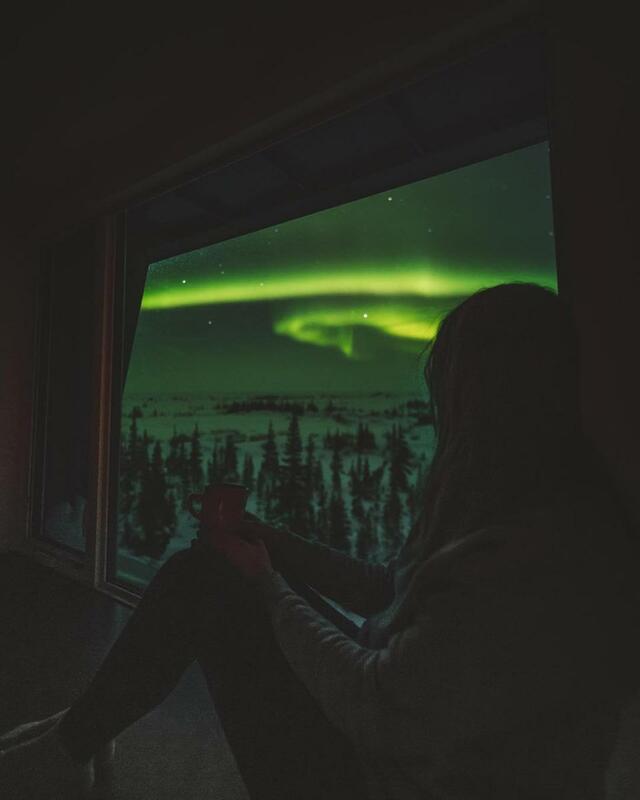 It was there that I caught my first glance of the famous aurora borealis (which had eluded me until then) and spent hours sipping wine and taking in the phenomenon as it danced in the sky above. Photographers in the group loved getting down onto the ground floor to capture the lights flickering above the trees, while others opted to view the sky from the viewing platform attached to the main building, where warmth was just a few steps away. 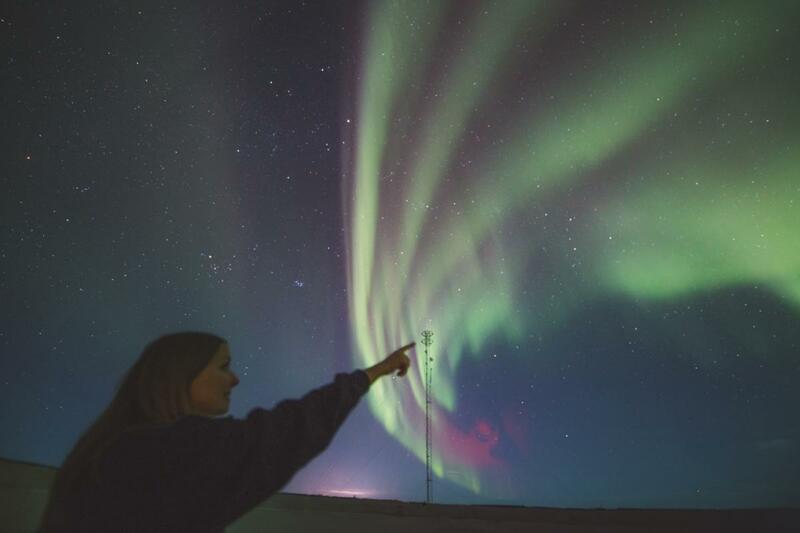 So why should you go to the Chuchill Northern Studies Centre to see the northern lights? One word: dedication. 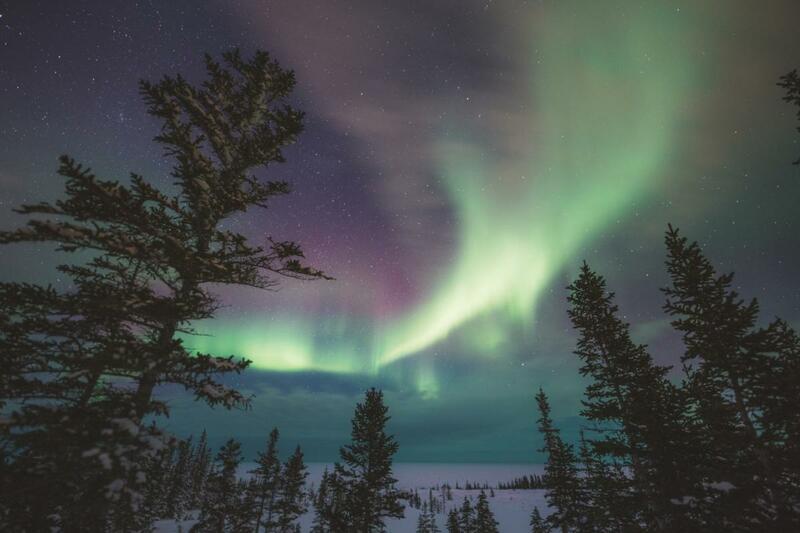 When the lights are out, the lights go out - meaning that when the aurora makes an appearance, all lights in Centre are turned off for an all-encompassing, outright magical experience between you and the sky.